The HACO KOMPAKT is a sturdy welded monobloc frame structure, with integrated fume exhaust chambers and bolted-on cutting table. Mounted on the sides of this stable structure, the linear guide-ways guarantee a very precise movement of the gantry, which is driven by 2 X-axis motors with rack-and-pinion transmission (Double X-axis). On the gantry, the Plasma Cutting Head is driven by 1 Y-axis motor with rack-and-pinion transmission and 2 oversized linear guides. The height movement of the torch is driven by a DC motor and ball screw. During the cutting process, the plasma arc voltage automatically takes control of this axis. 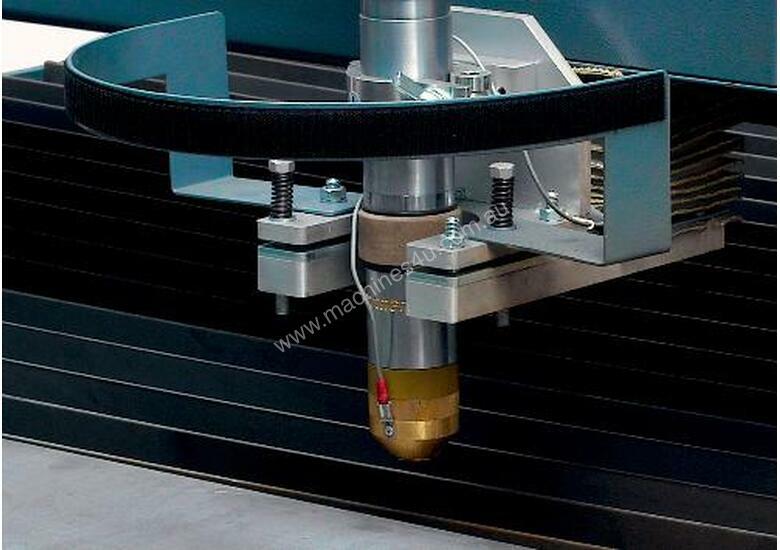 The HACO KOMPAKT can be delivered with various Hypertherm Plasma Sources, which are specifically designed to be mounted on X-Y cutting tables. It consists of a DC power supply, a gas console, the RHF console, the torch and all the cable and hose connections. 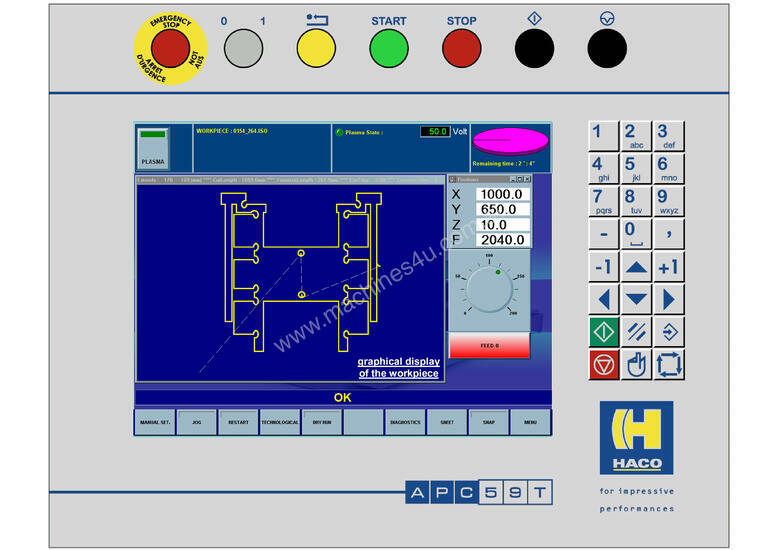 The APC59-T Operator Control is a graphical CNC Control System, with a 15” TFT touch screen mounted on a separate stand in front of the machine for optimum operator convenience. The touch panel effectively reduces the number of keyboard and button actions to an absolute minimum, allowing the user a straightforward, intuitive control of the entire production cycle. The highly advanced software raises the bar for other plasma software on the market. The simple layout of the user-interface allows direct access to the desired functions, thus creating optimum operator convenience. 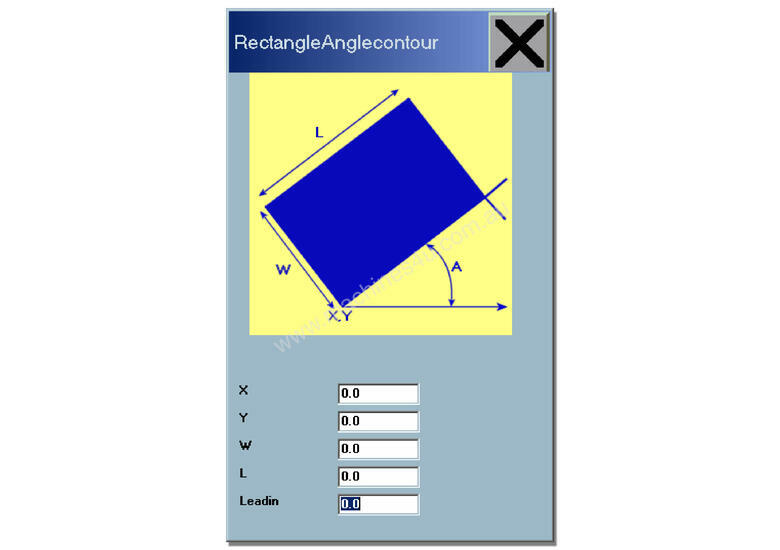 Depending on the specific production requirements, the appropriate cut chart, or technology table, can be chosen within seconds. 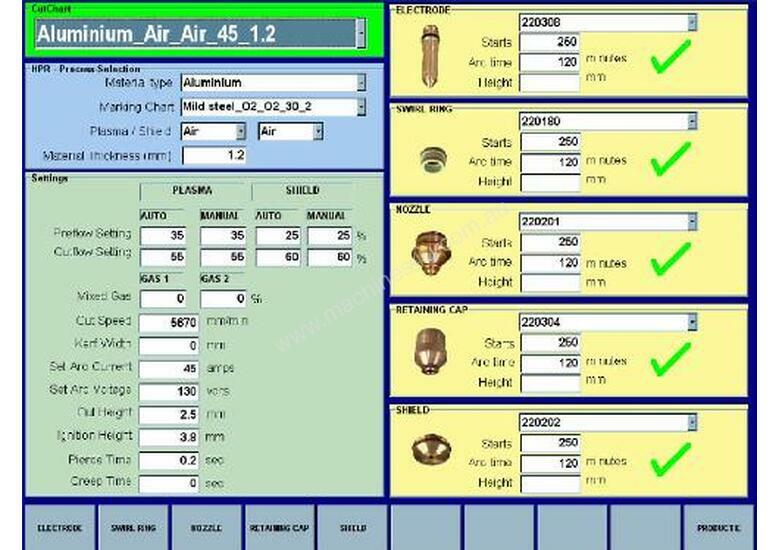 The software automatically displays the correct consumables for an efficient plasma head setup. 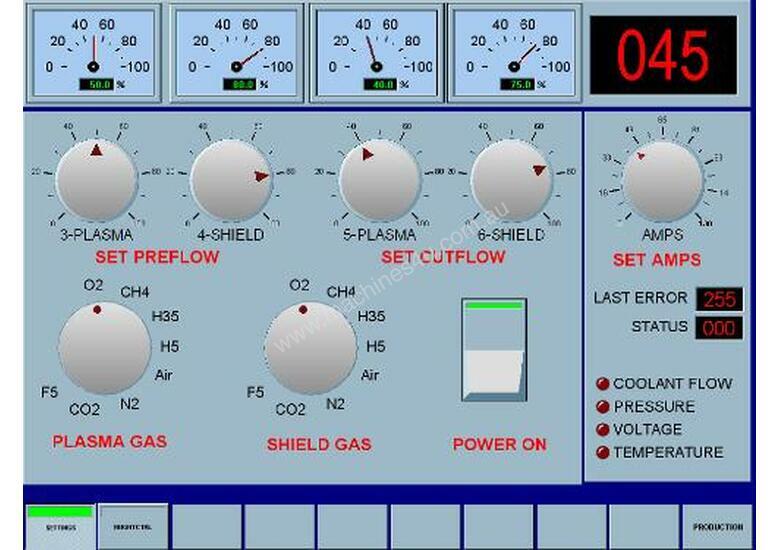 The software also keeps track of the life cycle of the consumables letting the operator know when a certain consumable is nearing the end of its use. This way new consumables can be ordered in time. Rotation of the cutting program is also possible, in case the sheet is too heavy to put parallel to the machine table. 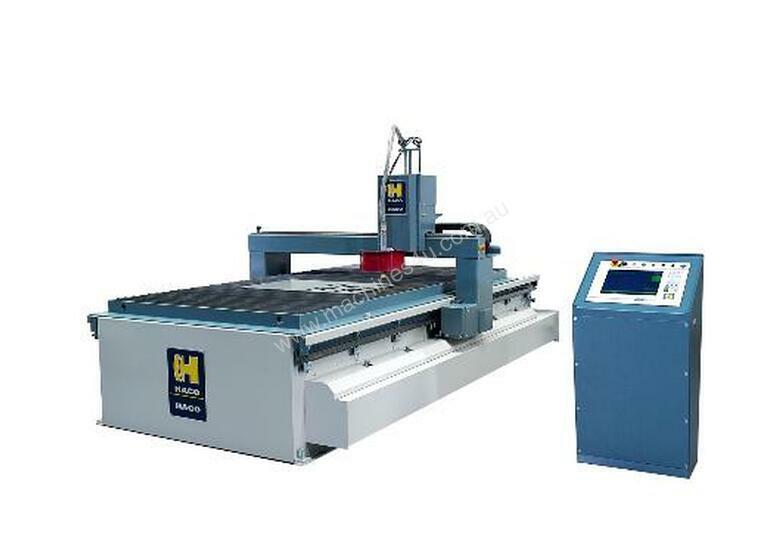 ATP-SERIES 2D GRAPHICS MULTI-AXIS CNC SYNCHRO.